Our exclusive Sterling Silver Collection: Slim and feminine open bracelet in polished Sterling silver. 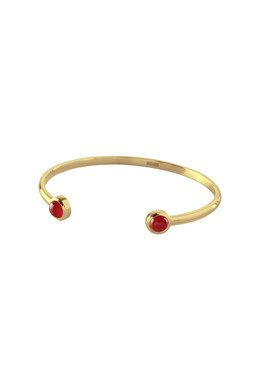 The bracelet is set with a pair of cabochon cut dark orange carnelian stones. The bracelet looks beautiful alone or combined with other different bracelets for a more casual look.